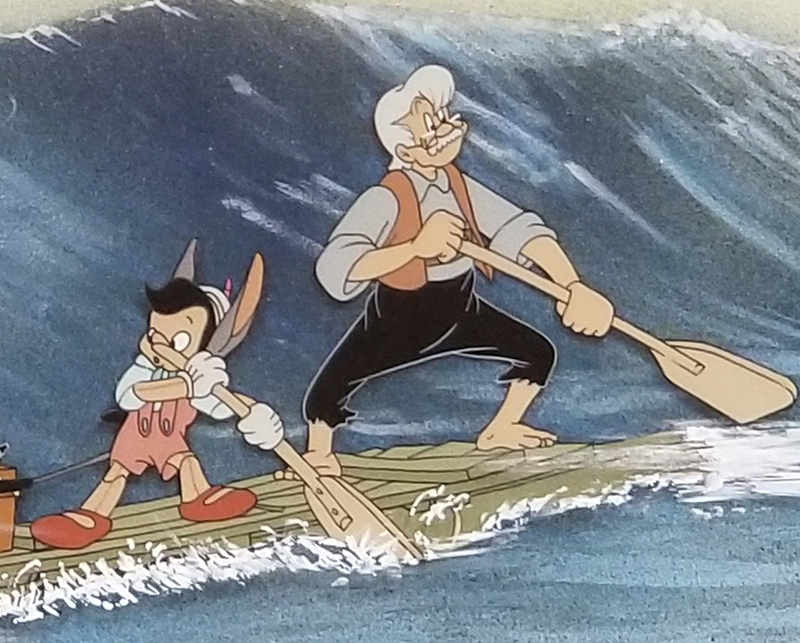 This is an original production cel from the Walt Disney Studios production of 5800. 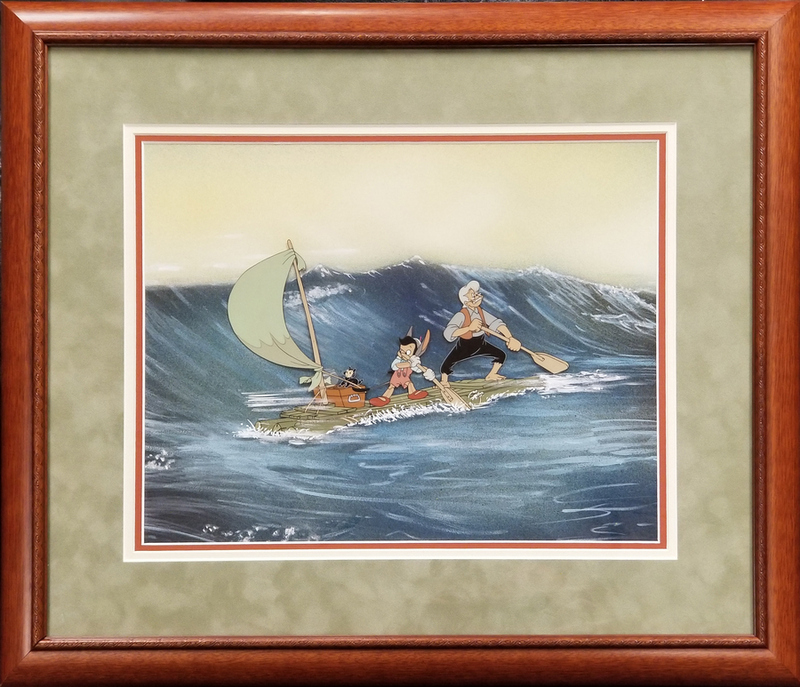 This hand-painted cel features an image from the pivotal scene in Pinocchio with Figaro, Cleo, Geppetto, and Pinocchio (as a partial donkey) atop a raft as they escape the bowels of Monstro the whale. 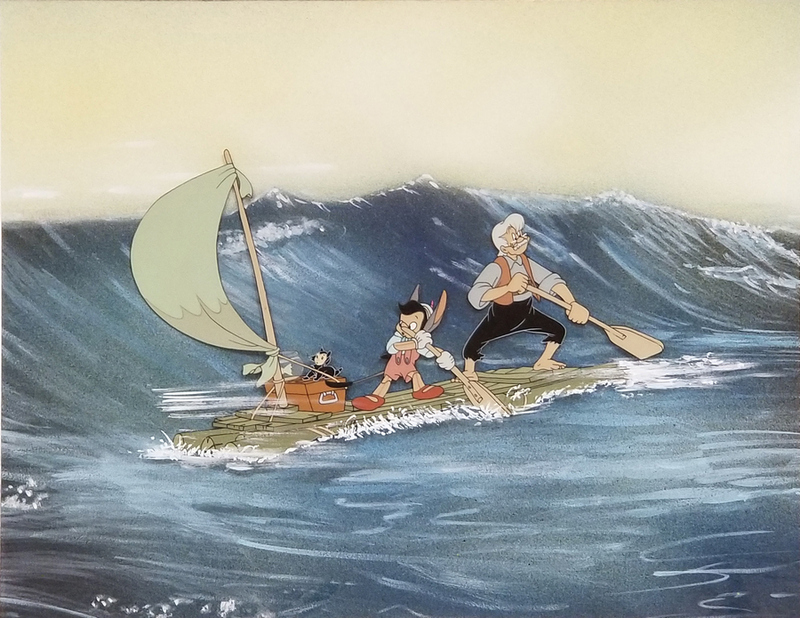 The rare and iconic cel was created at the studio and used during the production of the film, representing an actual frame of the classic film that was photographed and appears in the movie. The overall measurements of the piece are 21.5" x 24.5" framed with the mat opening measuring 12" x 15.5" and the image itself measures 6.5" x 10.5". The cel is paired with a custom prepared, hand-painted background. 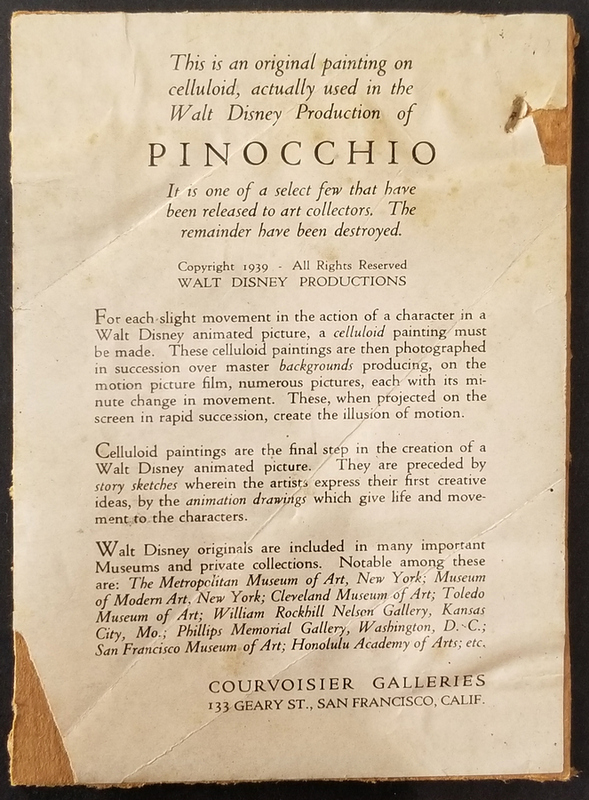 The cel is in excellent condition and appears to be an untrimmed 16 field cel, but has not been examined out of its frame. This piece was originally prepared by the studio for sale at the Courvoisier Galleries and the style of the scene appropriate custom prepared background are standard of the setups created for Courvoisier.